We supply a full range of attachments that fit on all ride-on lawn tractors. These attachments allow you to get the most out of you lawn tratcor and make maintaining your property a lot easier. 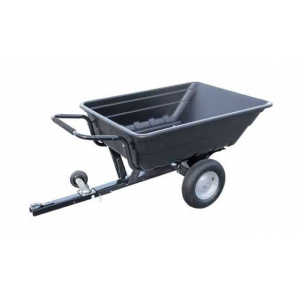 This is a very useful wheel barrow / trailer which can be pushed like a wheel barrow or towed behind..